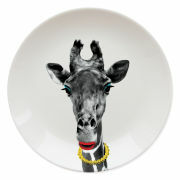 Made from china, the Wild Dining - Lion plate will bring a touch of fun to your dinner table. 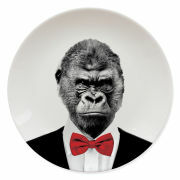 Completely dishwasher safe, the plate features a quirky lion design that is sure to put a smile on any diner's face. - L.M. 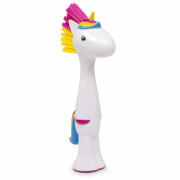 The quality is ok and the design so funny, I´ve decided to use them as decoration! This was bought as a gift for a friend. It looks great the way it is packaged in a box and will be easy to wrap. I may have to buy some more. I bought this plate for my daughter for Christmas along with 2 other large plates and 3 smaller plates. She was really pleased. Very good plates, a little expensive but nice for a present. I bought the set of these and i am going to put them on my wall and not use them as plates!! Love the design and the quirky look is just what i want for my interior. I'm very happy with the purchase, quick delivery to my country and great quality. This is a proffesional service.